reGenerate Design | Spring Into Permaculture! The days are getting longer. The air is getting warmer (…well, theoretically, that is…). The first signs of green plants are poking up through the ground. Your gardens are waking up and so are you. Spring is upon us! Here at reGenerate Design we value not only the physical aspects of permaculture, but how it relates to our social lives and the communities in which we live, work, and play. The permaculture teacher and author Looby Macnamara wrote the first book on social permaculture in 2012, called People and Permaculture, which expands the definition of permaculture from mostly land-based systems to explore the use of permaculture principles to restore personal, social, and planetary well-being. This is a relatively new and emergent field of permaculture. One of the reasons why permaculture is so fascinating is that it can be applied to virtually any type of complex system, and human communities are just that. So how do you practice social permaculture? Well, the good news is that you’re probably doing a lot already! We don’t often do event listings in our newsletters, but in the name of shaking off the winter blues and welcoming the coming of spring, here are some upcoming events that will help you delve further into the world of social permaculture… You can get you involved in the permaculture scene in Calgary (Integrate Rather Than Segregate), learn all about the principles of permaculture with a Permaculture Design Course (Use and Value Renewable Resources and Services), and connect with others to creatively transform your neighbourhood through placemaking (Catch and Store Energy). Want to meet your neighbours? Interested in sharing food, fun, and inspiration? 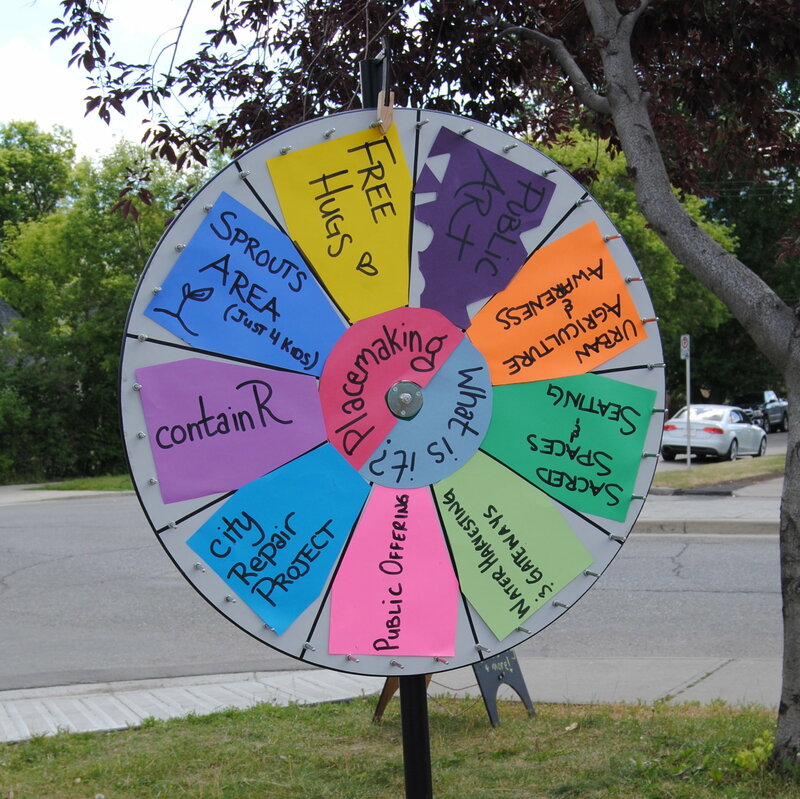 Curious about placemaking and how to implement it in Crescent Heights? Want to find out how to receive up to $1000 for your community placemaking project? 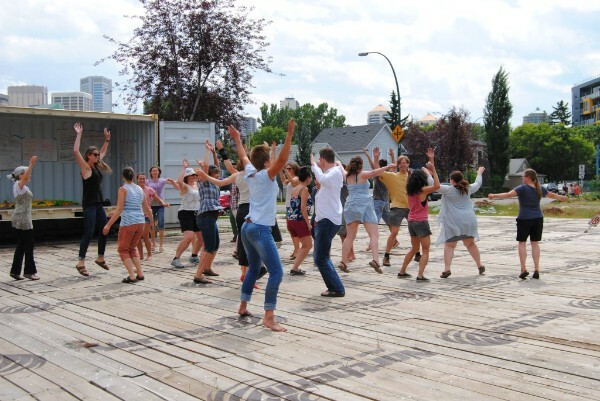 Join us for a series of engaging workshops on April 1, April 8, and April 15; which are designed to connect neighbours, create better public spaces, and improve your neighbourhood through creative approaches. These workshops are offered by the Crescent Heights Community Association as they move toward their first-ever placemaking festival from May 4 to July 1. While these workshops will focus specifically on community building in Crescent Heights, residents of other neighbourhoods who have an interest in placemaking may attend. The series is designed so that each workshop offers unique content but they also build upon each other in content – you are invited to attend one, two, or all three! The workshops are facilitated by Kevin Jesuino (Community Engagement Coordinator for Crescent Heights CA) on April 1, and Lindsay Meads (co-owner of reGenerate Design) and Alla Guelber (founder of the Meaningful Work Project) on April 8 and April 15. This workshop series is FREE, however registration is required for each of the workshops as space is limited. See the Facebook event page for more details, or go directly to Eventbrite to register for April 1 from 3pm-6pm, April 8 from 3pm-6pm, and April 15 from 3pm-6pm. What can we say about the Verge Permaculture PDC? They have inspired and sparked transformation in many people’s lives in and around Calgary and beyond. In fact, Adrian and Luke took their PDC through Verge and both feel that it was a pivotal step in their careers. We are very, very, very excited to announce that we will be affiliate teachers in their courses starting this year! With 72 hours of classroom and hands-on instruction, this course is the international standard for permaculture certification and is taught by award-winning engineer and ecologist, Rob Avis of Verge Permaculture. 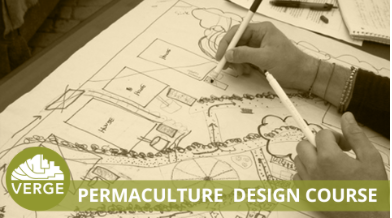 The Permaculture Design Course will provide you with the skills to design and implement living environments that are both sustainable and regenerative, in both rural and urban settings. Verge has courses coming up in Invermere (April 21 to May 5) and Calgary (June 23 to July 8, and an 8-month course on weekends starting September 20). For more information, visit their website. Are you interested in taking a leadership role steering the future of permaculture in Calgary? Are you wondering how you can gain valuable skills and share your knowledge? Are you interested in getting involved in special permaculture projects? 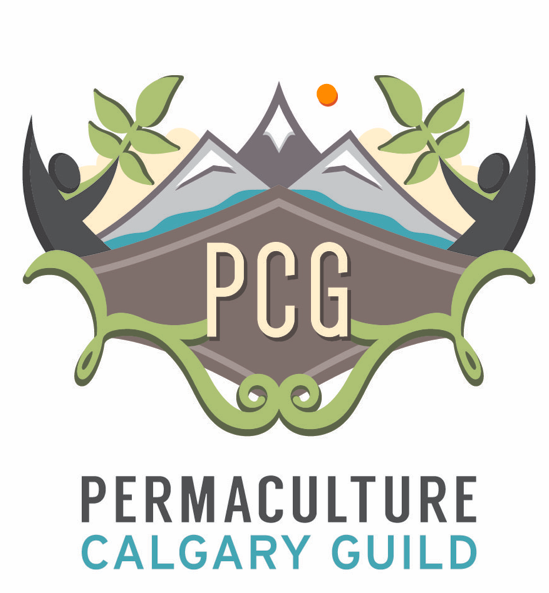 What better way to create relationships and become involved in the permaculture community than through the Permaculture Calgary Guild. Whether you are completely new to permaculture, or a seasoned permie veteran, the Annual General Meeting is the place to be. If you are a member (or thinking fo becoming a member) of the Guild and would like to provide input on how this organization should direct their resources, this is an excellent opportunity to learn how a contribution, however small, makes a difference. They will have a potluck with delicious food, a chance to interact with others, and a presentation on all the awesome things that happened over the past year. The permaculture movement has been exploding in Calgary. Get inspired and motivated by the rapid, pioneering growth of our community. 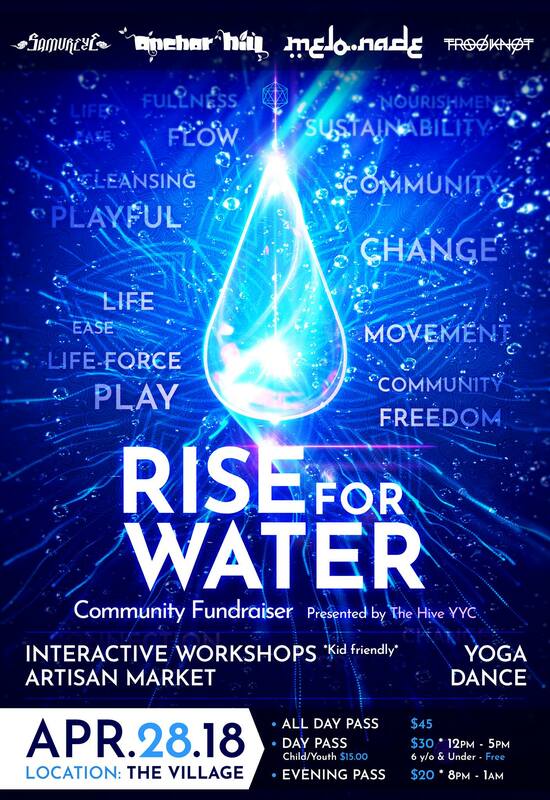 This event is a fundraiser for Centre for Affordable Water and Sanitation Technology and Water.org with multi-disciplinary workshops, dancing, yoga, and a presentation on rainwater harvesting in the food forest by Luke Kimmel. More information here or share it on Facebook with your friends. This is a new feature of our newsletters in 2018. Each month, we will be sharing our ideas on one exciting plant, some unique features, and how it can be used! If you have ideas or suggestions about a plant, please contact us. 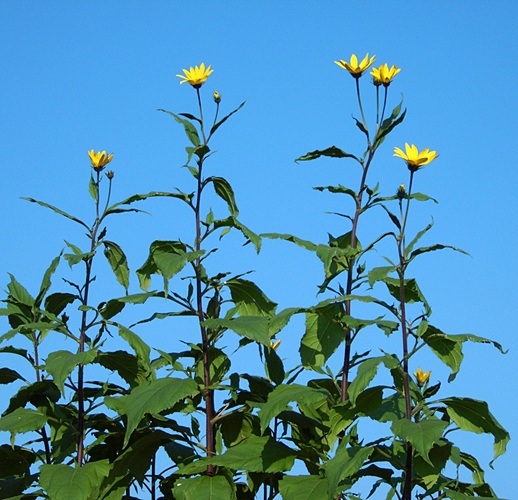 A great cold-climate root crop, the Jerusalem Artichoke (a.k.a Sunchoke) is an edible member of the sunflower family of plants. This plant grows between 6 and 8 feet tall. The part you eat is the fleshy tuber, which is acquired by digging up the plant. One plant will produce 10-20 tubers, and to ensure repeating crops, simply keep 1 tuber and plant it for each plant you want to grow again. 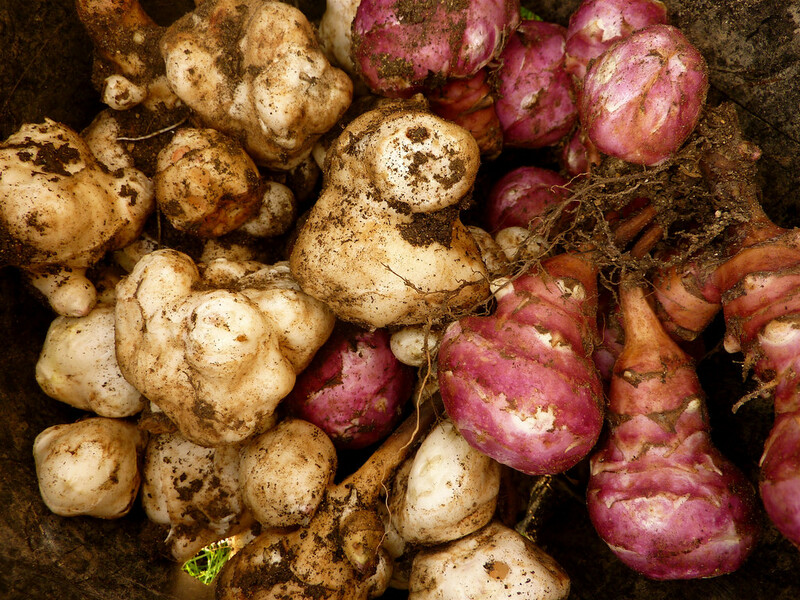 The tuber is prepared for eating in a similar way to a potato, but has a unique taste with nutty hints. Each plant, after harvesting, leaves you with a lot of biomass, which you can chop up and scatter around your garden to decompose. This plant prefers full sun but will also grew quite well in part shade. Ensure it’s grown in a place where soils are moderately to fully rich, and with moderate water availability. Because disturbance will always happen to the soil when harvesting the tubers, we suggest planting them, along with other root crops, in a “dig and replant” zone, away from roots of woody plants and other perennials where root disturbance has negative consequences, such as with comfrey. This plant is available as tubers, and are usually only available in the spring at some local garden centres or mail order nurseries such as Richters Herbs or Norton Naturals. All the best and hoping everyone has a fruitful 2018!